Do Eggs Go Bad? - Does It Go Bad? If you don’t use eggs that often, it’s easy to be left wondering if that carton is still good. Especially if you only buy eggs every few weeks. Do eggs go bad? And there are those recipes that call for only egg whites or yolks. I don’t know about you, but I don’t feel like throwing out half of a good egg because it’s not needed for this specific recipe. So you need to know how to go about the storage of whites and yolks too. Not to mention you should know how long do they last, because unless you’re on top of your meal planning, you won’t use them the same day. Because of all of that, it makes sense to know a thing or two about storage, shelf life, and going bad of eggs. If such knowledge is what you’re looking for, you’re in the right place. Read on. 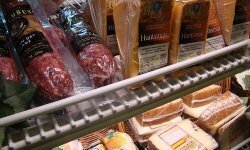 While eggs don’t always sit in the refrigerated section of the supermarket, you should store them in the fridge. 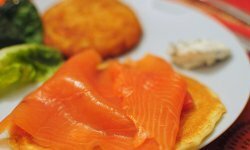 And that’s true for eggs in pretty much all forms, including raw eggs, whites, yolks, hard-boiled eggs, and egg dishes like scrambled eggs or a frittata. And if you want to store the eggs for a prolonged period, choose a place in the back corner of the fridge instead of the door. When it comes to whole raw eggs in shells, that is eggs that you buy in the supermarket or at the farmer’s market, just put the carton into the refrigerator, and you’re done. Nothing fancy here. 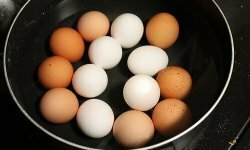 If you’ve cracked more eggs than you need at a time, just pour them in an airtight container and refrigerate. Same thing with egg whites or yolks that you got leftover from a dish. When it comes to hard-boiled eggs, use an airtight container or a freezer bag. You can peel the eggs for short term storage, but if you plan on keeping them around for more than a few days, leave them with their shells on. 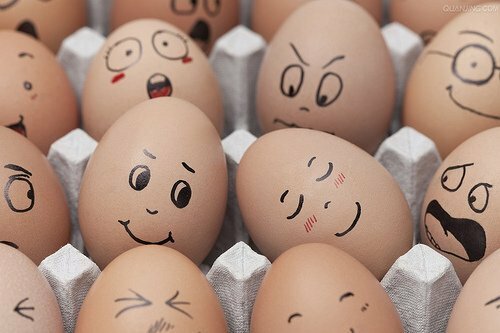 For a few tricks when it comes to hard-boiled egg, check out our article about them. For dishes like scrambles and frittatas, they also need to be wrapped tightly. So while scrambled eggs fit just fine into an airtight container, frittatas usually don’t. If that’s the case, wrap it with aluminum foil or plastic wrap. A proper cover ensures the dish doesn’t dry out that fast and doesn’t pick up any smells from the fridge. 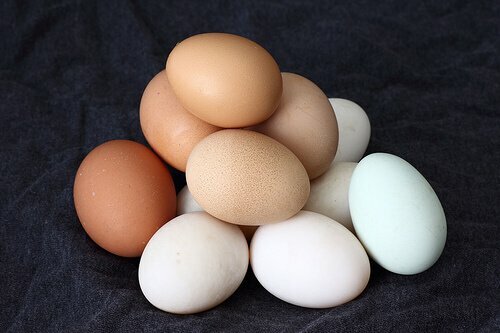 Generally speaking, freezing eggs in shells, cracked eggs, and hard-boiled eggs is not recommended. But you can preserve the eggs by freezing whites and yolks, or the whole egg-based dish once it’s prepared. If you won’t use egg yolks or whites within a few days of cracking the egg, you can freeze them. Please note that it’s best to freeze them separately. That because whites freeze just fine, but yolks thicken. To avoid that, mix in either an eight of a teaspoon salt or one and a half teaspoons sugar per one-fourth cup of yolks. That should prevent thickening. Remember to add a label to the container that informs you if there’s sugar or salt added. This way you won’t try to make scrambled eggs with sweet yolks. When it comes to thawing, putting the container into the fridge the night before you need the yolks or whites is probably the best choice. For egg-based dishes, the freezing instructions depend on what exactly are you cooking. Plus, naturally, some dishes freeze much better than others, so you should look for freezing instructions in the recipe you’re following. Once again, let’s go one by one, starting with raw eggs in shells. The eggs you buy last around 3 to 5 weeks in the fridge. There should be a use-by date on the carton that indicates when that time period ends. Of course, the eggs should be okay for at least a couple of days after that date. When it comes to cracked raw eggs, egg whites and yolks, they all last about 2 to 4 days, so that’s not that much time. If you need to store whites or yolks for longer, freeze them. For hard-boiled eggs, unpeeled last about a week and peeled ones are best for about 2 to 3 days. Last but not least, egg-based dishes. They usually last between 3 to 5 days in the fridge. It all depends on the recipe and the ingredients you use. If you’re interested, you can easily find meal-prep recipes that include eggs and those typically last about 5 days. Let’s start with raw eggs. A neat trick to help you determine whether or not a raw egg has gone bad is to submerge it in a glass of cold water. If the egg sinks, it’s still good. An egg that sort of drifts in the middle of the water is on its way out. So it’s pretty much now or never if you still want to consume it. And if the egg floats, it’s most likely spoiled. This is a good indicator because as eggs age and lose moisture through their porous shells, more air fills the space. Please note that if you wish, you still might crack the egg that has floated to check its quality. But make sure to do that in a separate bowl so you won’t ruin the rest of your eggs or the dish you’re cooking. Once you’ve cracked the egg, check the appearance of the egg white and yolk. If the white is pink or iridescent, it’s spoiled and you should discard it. Pretty much same thing if either the white or the yolk has any visible discolorations. Given that everything seems fine, give it a sniff. If the egg smells off, or even slightly sulfurous, throw it out. If it passes all the tests, and you don’t already store it for too long, it’s most likely perfectly fine to eat. When it comes to hard-boiled eggs and egg-based dishes, checking if they have spoiled is mostly about using your senses and common sense. So give it a good sniff, consider the texture and look for discolorations or any other noticeable changes. And of course, make sure you’re not storing the product for much longer than recommended. If all boxes are checked and the egg seems fine, give a small amount a taste and decide what to do with it based on the result.